Born in Junagadh, Gujarat in 1947 Solanki completed his Diploma in Painting and his Post-Diploma in Graphics in 1992 at the M. S. University at Baroda and was a visiting faculty at NID Ahmedabad between 1982 and 1987. 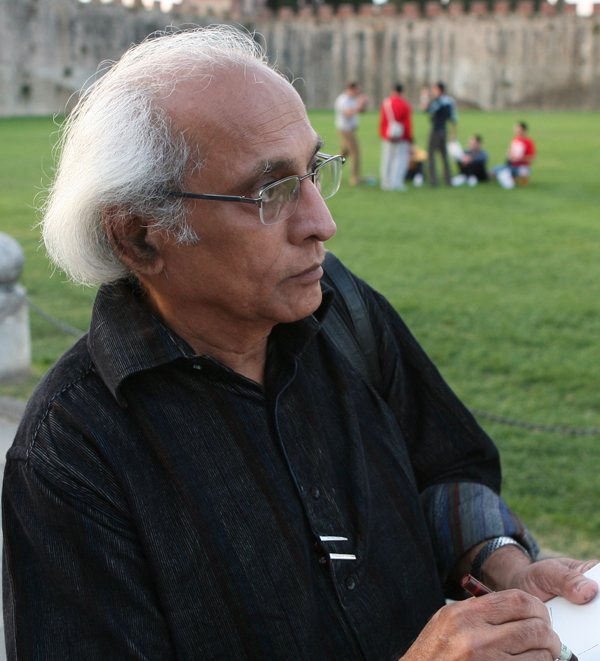 He has held more than 35 solo exhibitions and has won awards at the Gujarat State Lalit Kala Exhibitions in 1966, 1967. Solanki brings forth the anonymous rustic beauty of native Rabari, ornately dressed and highly rendered with mass of black lines that create an unambiguous chiaroscuro and contrasting tonalities in black and white disclose a delicacy in the figures. Solanki lives and works in Ahmedabad.